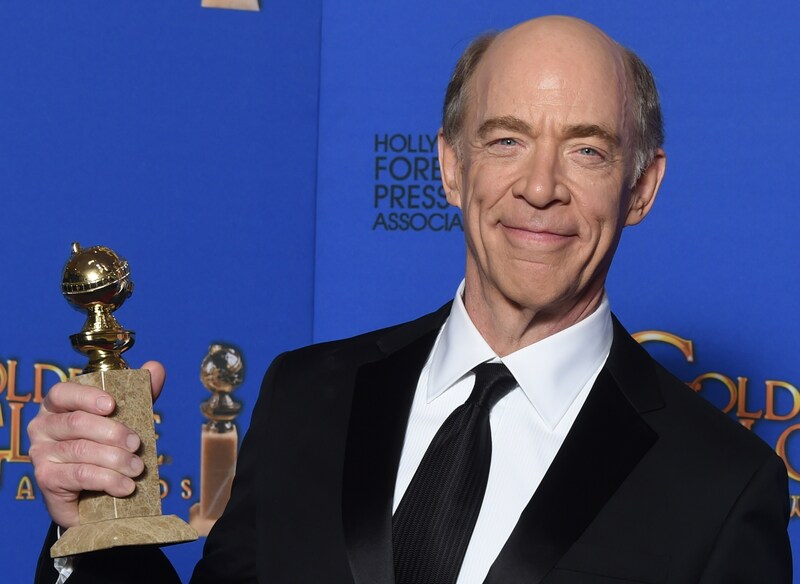 As it turns out, J.K. Simmons is a classically trained conductor! Is there anything that Juno's dad can't do? The answer is no. There isn't. He's already won a Golden Globe and a SAG Award for the role of Fletcher, so let's just cut to the chase and give this man the Best Supporting Actor Oscar ASAP. According to the New York Post, Whiplash writer-director Damien Chazelle approached Simmons for this part without any knowledge of the actor's musical background. Simmons has a music degree in voice from the University of Montana, with a double minor in composing and conducting. I'm not quite sure what the conducting classes look like, but in my layperson's imagination, I'm guessing that they look something like Charms class in Hogwarts. You know, because of all the baton-waving. In an interview with Variety, Simmons recalls a funny story about Chazelle trying to put him at ease with conducting, which turned out to be hilariously unnecessary, "When I first met Damien, he wanted to put me at ease about the conducting. He said they would have technical advisers lined up," Simmons responded, "'I actually have a college degree in conducting and composition.' My first plan was to be Leonard Bernstein when I grew up. So I had some credibility; I wasn’t just some actor up there, waving my arms." Well, there you have it! So now that you know that Miles Teller knows how to play the drums, and J.K. Simmons is a conducting whiz, sally forth in the world with the following truth restored in your mind: sometimes it isn't a body double doing all the impressive things!